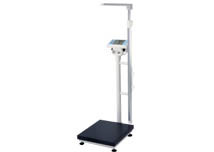 Scale features a built-in digital measuring rod for easy one step determination of weight, height, and BMI. Large, alloy aluminum tube and higher strength structure of the platform with rubber mat ensure safety and accurate weighing. Adjustable feet and wheels, for fast leveling and ease of movement. 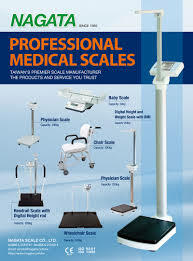 The BW-2200P can be connected to a printer to auto-print the date, time, weight, height, and BMI. Tare function to subtract the weight of wheelchairs, and client’s belongings, etc…. ecall” key improves record keeping, by displaying the client data after they have stepped off the weighing platform.